The NRA’s American Rifleman showcased an interesting project this week — an upgraded Ruger American Rifle Predator in 6.5 Creedmoor. 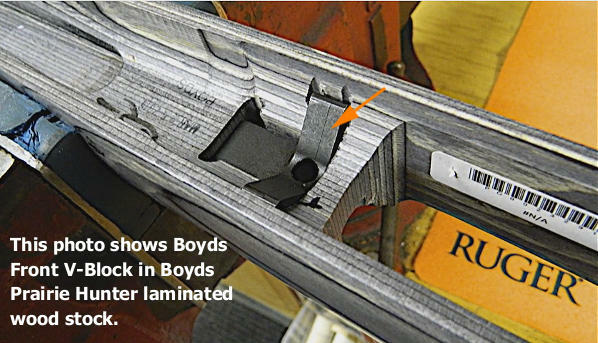 The video below shows how a laminated wood stock from Boyd’s Gunstocks was adapted for the Ruger. A Boyds Prairie Hunter model in gray laminate was selected. This was custom-bedded to the Ruger’s action using Brownell’s Acraglas. 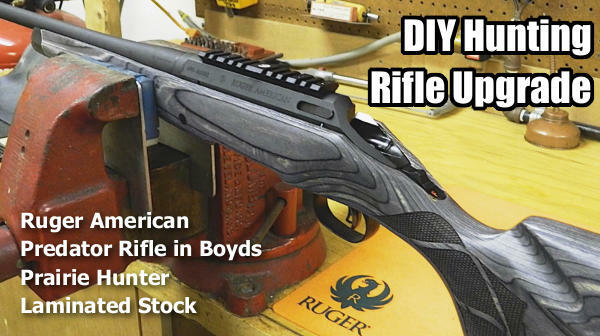 Share the post "DIY Hunting Rifle Upgrade — 6.5 Creedmoor Ruger American Rifle"
This is a very accurate, high quality Smith & Wesson 1911. 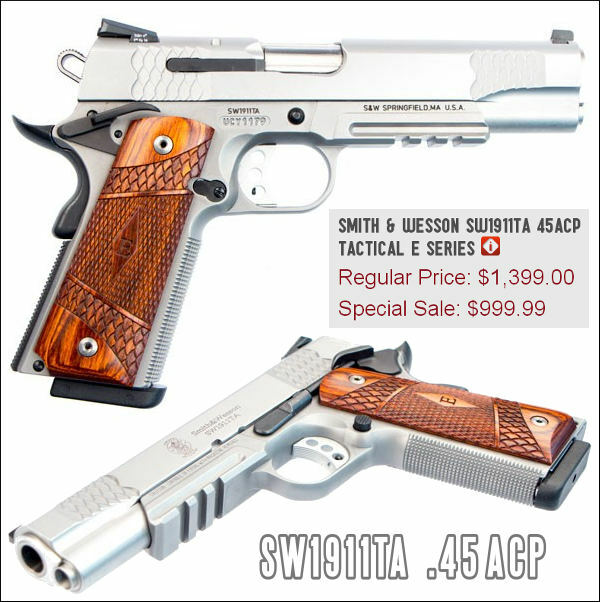 The SW1911TA Tactical E-Series™ (“Enhanced”) sells elsewhere for around $1170.00 so this CDNN $999.99 special is a very good deal. This pistol features tritium night sights, front rail, high-quality wood grips, and snakeskin-style slide serrations. We’ve shot this S&W pistol. With our handloads, our sample SW1911TA was more accurate than a $2850.00 Wilson Combat CQB 1911 we tried for comparison. 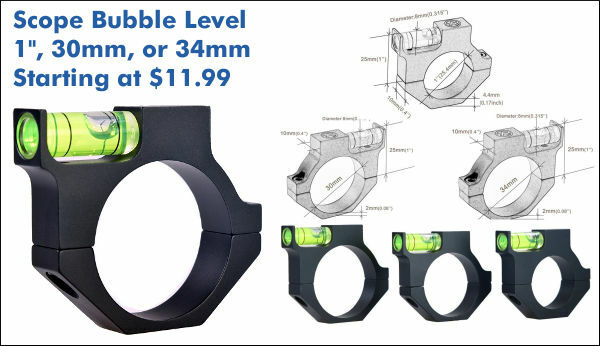 YMMV but expect excellent accuracy and a really fine trigger right out of the box. Some folks may not like the external extractor, but in our mind it’s a smart feature that improves reliability. Think about it, the most reliable semi-auto handguns — Sigs, Glocks, HKs — all have external extractors. 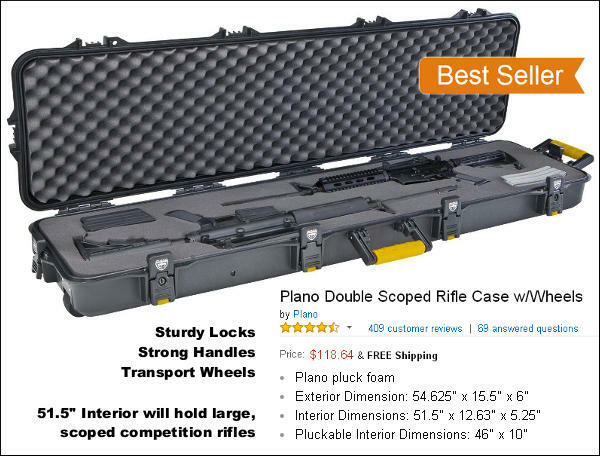 This Plano Double Scoped Rifle Case is an Amazon Best Seller for good reason. It offers the functionality and durability of an SKB-type hard case for HALF the money. This is under $120.00, while the equivalent SKB is around $240.00, so you can buy two Planos for the price of one SKB. The 51.5″ interior will fit most scoped competition rifles up to about 29″ barrels (measure your own rifle to make sure). The handles are convenient and beefy and the wheels make this case easy to move through airports and parking lots. This is a very tough, roomy case for the money. To ensure a good fit (for optimal noise reduction), the Razor-X and Razor-VX come with two styles of noise-reducing foam tips. The Razor-X also features an auto-shut off after 4 to 6 hours. An AC wall adapter with USB port and a one-meter micro USB cord is provided. We like this folding shooting mat for three main reasons. First, it has nice half-inch-thick EVA high-density foam inside. That 0.5″ padding makes this mat MUCH more comfortable than thin mats when shooting from concrete or hard ground. Second, at 76″ long x 35.5″ wide, the mat is big enough for tall guys and there’s plenty of width for log-books, ammo boxes, and other gear. Third, the multi-cam pattern is distinctive. When you’re at a big match with many competitors, this mat is easy to spot, so you can quickly find your place on the firing line. The Multi-cam Pro Series Folding Shooting Mat is currently on sale for $89.99, marked down from $189.00. 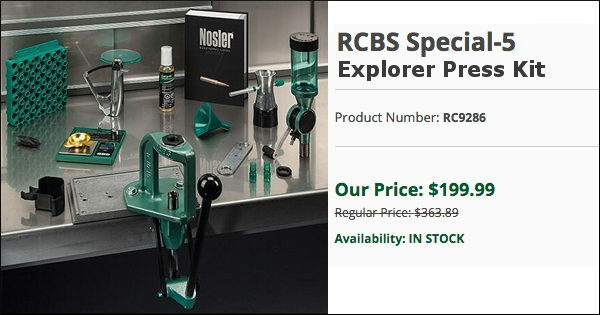 It is also offered in OD Green for $89.99. 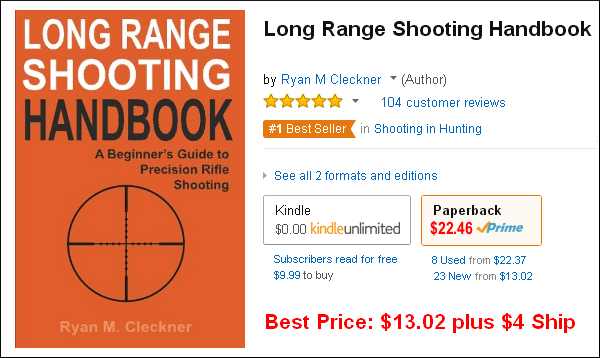 This 250-page book is Amazon.com’s #1 Top Seller among shooting books. The author, a former U.S. Army Sniper Instructor, knows his stuff. Ryan’s Long Range Shooting Handbook contains a thorough discussion of MOA and MilRadian concepts. The handbook is broken down into three section: Part One covers equipment, terminology, and basic principles. Part Two covers the theory of long range shooting. Part Three offers practical advice on implementing the information taught. This book has earned rave reviews — 91% of verified purchasers gave the book Five Stars. Note, we show the Prime Price. However, this book is available from other Amazon sellers starting at $13.02 plus $3.99 shipping. 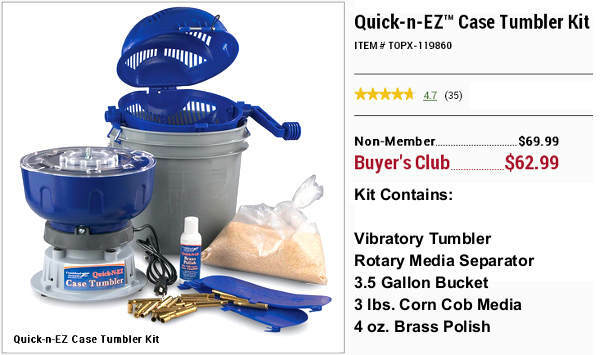 Share the post "Bargain Finder 46: AccurateShooter’s Deals of the Week"
What happens inside a rifle chamber and barrel when a cartridge fires can’t be seen by the naked eye (unless you are a Super-Hero with X-Ray vision). But now, with the help of 3D-style computer animation, you can see every stage in the process of a rifle round being fired. In this amazing video, X-Ray-style 3D animation illustrates the primer igniting, the propellant burning, and the bullet moving through the barrel. The video then shows how the bullet spins as it flies along its trajectory. Finally, this animation shows the bullet impacting ballistic gelatin. 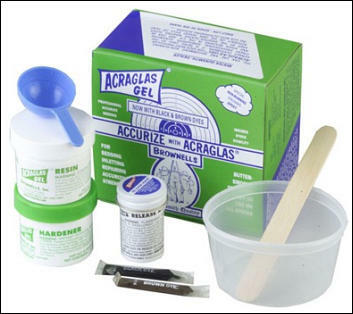 Watch the bullet mushroom and deform as it creates a “wound channel” in the gelatin. This excellent video was commissioned by Czech ammo-maker Sellier & Bellot to demonstrate its hunting ammunition. The design, 3D rendering, and animation was done by Grafické studio VLADO. Video find by Seb Lambang. We welcome reader submissions. Share the post "How Rifle Ammunition Works — Amazing CGI Animation"